Springhill is largely a purpose built home which has undergone major development in recent years. The creation of two new eight bedded specialist suites consisting of large and luxuriously appointed bed sitting rooms, complete with en-suite wet rooms with accessible showers, open plan lounge/dining rooms, with accessible lifestyle kitchens for residents, means we are leading the way in the region's care sector. The home is divided into four areas of service on two floors, providing nursing, residential and specialist care for adults and older people. 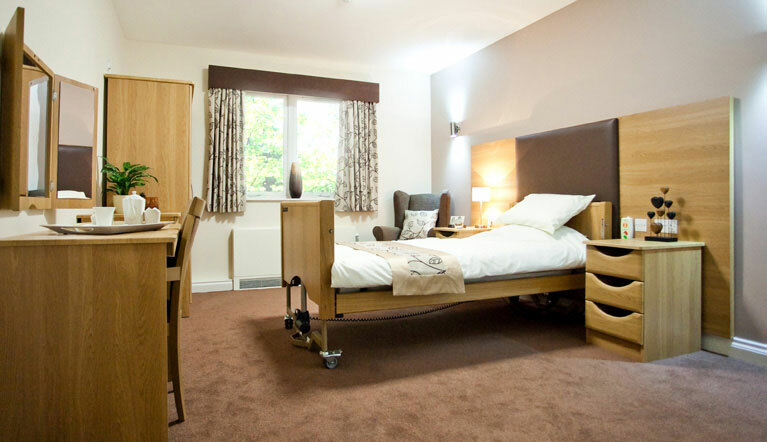 Bedrooms in the general nursing and residential care sections of the home are all single, with en-suite facilities, generously proportioned, and are well appointed. Rooms can also be personalised to suit each individual. Therapeutic but homely, designed for care, yet beautifully appointed, Springhill Care Home has been designed from the outset with the aim of providing an atmosphere that is both supportive and purposeful, aiming to strike a good balance between appropriate stimulation and calm.